I bought the HRC competition clutch centre as part of the conversion for the bike. As I have the HRC Gearbox, clutch plates and Sigma clutch will fit the HRC clutch basket and this centre to complete the upgrade. 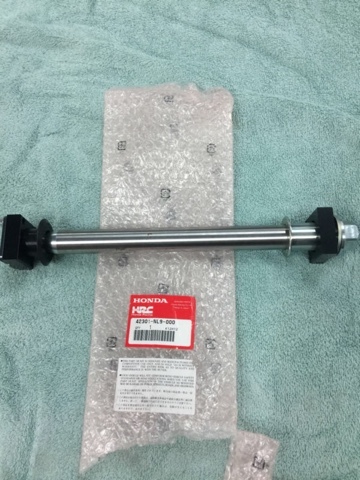 When I bought the HRC Swingarm, I never bought the Quick release spindle at the time but a new one come up which will be used to create a titanium version. 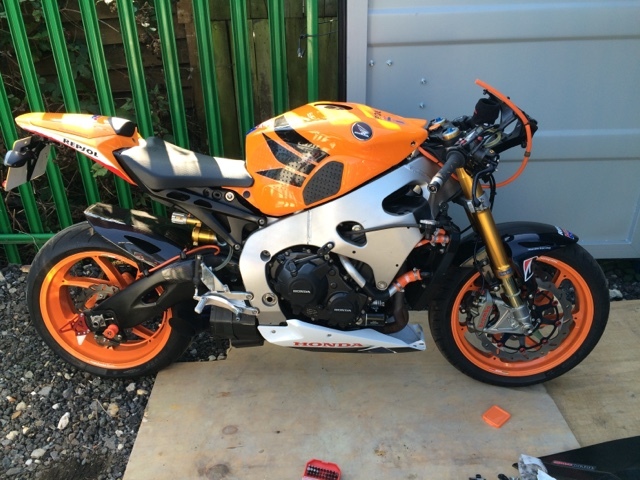 Here's the bike stripped down ready for the 2015 conversion. Its been an interesting process as it has shown me more steel bolts to replace and parts that have been left behind as part of pair mods. I had never removed the fairings and left it to the pro's but was surprised how easy it was. I just hope that the new fairings will be equally easy. Somehow I think not. 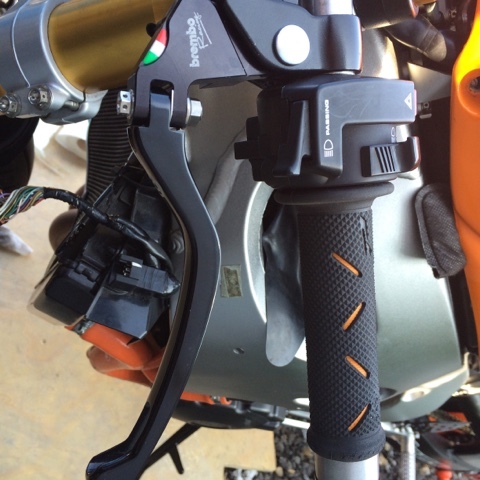 I fitted the Brembo clutch lever to the blade. I have switch back to the standard perch as this does not foul the speedo or have cabling issues. As always, I could not just pop the old clutch lever on. This is in fact the Suzuki one. There is no difference apart from the pivot bolt and spacer. I never liked the stock Honda item so this looks better. 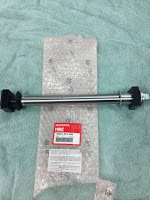 I have also added an alloy adjuster and titanium nuts,bolts and screws. I think it looks good even if it doesn't look as nice as the Brembo style lever I had before. 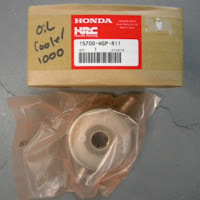 I managed to source a HRC oil cooler for my bike. 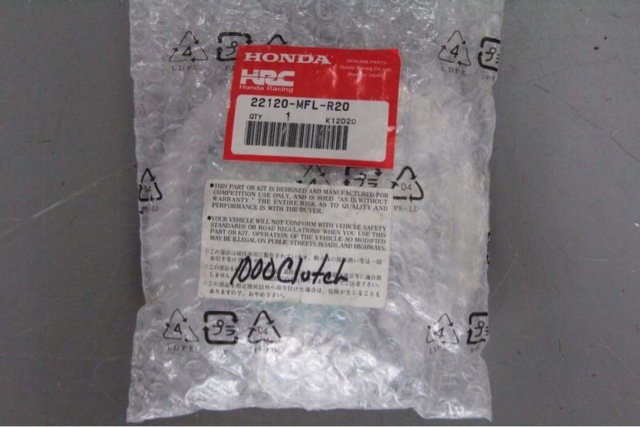 This will not be used on it for now as its intended for the HRC Radiator as opposed to the stock item. This will probably end up on the bike if it becomes a full track bike.